This article is part of the Concordia Partnership Series that highlights the power of cross-sector collaboration to address some of the world's most intractable problems. A few years ago, I found myself on Bohol, an island in the Central Philippines, talking to local officials and fisherfolk about the challenges of managing increasingly endangered coastal fisheries. Many of these fisheries are in remote areas scattered across the 7,000 islands of the archipelago, which lack access to the Internet. Government officials were frustrated because they couldn't establish policies or regulations as they had no way of knowing who the fisherfolk were and how many were on the water. The fisherfolk themselves were also limited because they lacked access to current fisheries market pricing and various government support including poverty alleviation programs. Recognizing that there was both a serious need and aligned interests to address this lack of access, my company, SSG advisors, was in a unique position to bring these stakeholders together. 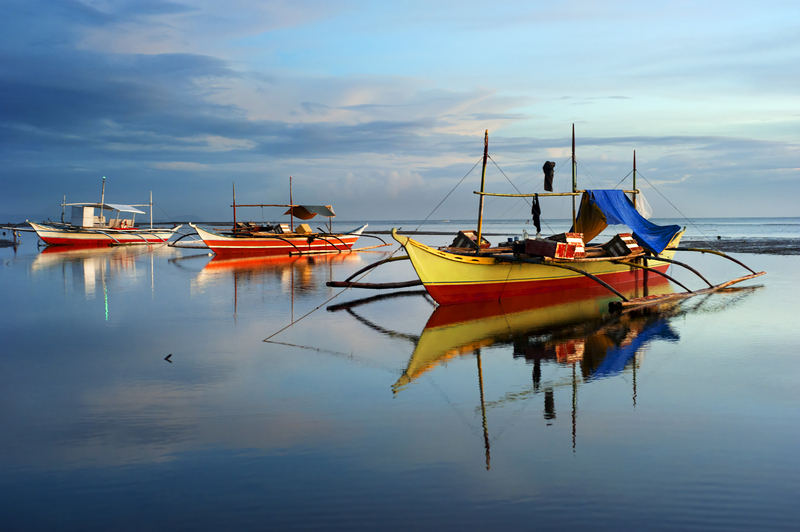 Over several months, we identified overlapping areas of shared value and convened a strong group of interested parties that would ultimately deliver internet connectivity to rural fishers in the Philippines. This TV White Space Partnership leveraged the technology of Microsoft, the expertise of the US Agency for International Development (USAID) and the vision of the Philippine government to deliver affordable, sustainable Internet access to outlying fishing communities. This strong public-private collaboration connected fisherfolk and the communities in which they lived, delivering broadband to some 20,000 individuals. For the first time, these fisherfolk were able to register and access government services, including registering for health insurance. While pilots or small scale projects are important, the true value of this work is in its ability to scale. The government of the Philippines is taking forward key elements of the partnership nationwide as part of its drive for universal Internet access; it's a win for fisherfolk, Microsoft, and government alike. As a small testament to its significance, this partnership also won the P3 Impact Award given by the State Department, Concordia and UVA's Darden School of business. These fisherfolk represent a small fraction of the approximately 4 billion people throughout the world who remain unconnected to the internet. For populations without access, increased connectivity can mean better information on health, increased economic opportunity, higher levels of independence, and with access to more transparent information, the potential for better governance. What's more, when taking into account the potential revenue ($2- $3/month) from those who are not yet connected, providing Internet access is a huge business opportunity worth more than $100 billion. There are many challenges entering new markets, not least of which is understanding the general landscape of a new area. For example, during our work in the Philippines, it was imperative that the government was on board with any plan to use TV White Space. Without buy-in from the Department of Agriculture's Bureau of Fisheries and Aquatic Resources, and the Department of Science and Technology, the project would not have been able to move forward. Whenever looking into increasing connectivity and access in a new location, therefore, it is important to spend the time to identify the needs of all potential stakeholders. Government is only one of an array of stakeholders in the connectivity space. Others include the local community. In Ghana, SSG is facilitating a partnership with a leading mobile network operator to connect artisanal fishers with essential market and weather information. In the process, SSG and its partners are working closely with local fisher groups to ensure that the products and services developed through the partnership make sense for end-user needs. In general, when moving into a new landscape, there are often more potential stakeholders who could add value than might be seen at first glimpse. Engaging all potential partners can often yield a stronger and more sustainable partnership. The key within any partnership creation is to align the goals of interested parties. This involves bringing together strategic partners in facilitated workshops to build out innovative ideas, and create opportunities for collaboration. One of the ways we have found to be successful is to build off of design thinking techniques and customize the content towards partnership planning and formation. Throughout these types of workshops, we have witnessed numerous opportunities for collaboration that would have been missed otherwise. For example, in East Africa, thanks to a facilitated forum, we brought together lead companies in the ICT space and multi-national conservation organizations to set up a mobile App to report on illegal poaching activities. Having all parties in the room focused on the challenge at hand provided a focused forum for developing ideas with tangible outcomes. Our research in connectivity has revealed multiple complaints of "pilot-itis." In other words, it is simply not enough to have a great idea for a new solution, there needs to be a built-in solution for sustainability and scalability. In our experience, we have learned that scale needs to be included in the design from day one. Several years ago in Vietnam, we were charged with developing a pilot partnership to deliver computer training across 64 locations in the country. In the process of assessing stakeholder needs and facilitating workshops, we were looking for scalable solutions. With that lens in mind, we ensured we had a wide range of participants representing diverse interests. Through this collaborative process we were able to identify a local partner, who not only was interested in implementing the pilot, but actually had a vision for scaling nationwide. That partner became Topica, which rapidly grew into Vietnam's largest private online education provider, attracting venture capital investment to effectively scale. Cross-sector collaboration is never easy, but as the cases in the Philippines, Ghana, and Vietnam show, it can deliver results for the tech sector and communities alike. By working together, companies, governments, donors, and investors can bring this vast but untapped pool of consumers into the digital age, creating a broad new market and delivering on the promise of the SDGs.